12 patterns of the most famous icons of Egyptian history. 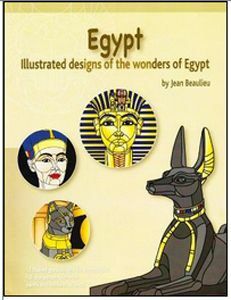 Includes: Designs include Nefertiti, Anubis, King Tut, Egyptian Cats, Nekhbet, and more. Each pattern is shown in full color and color suggestions are included.